Help Your Child with Night Time Wetting. Being a parent is a tough job, we are entrusted with little lives and we often have to deal with a lot of bumps in the road. As our kids get older, most times, it starts to get a bit easier. You survived potty training and you’ve changed more diapers than you can count but, now your child is having accidents at night. 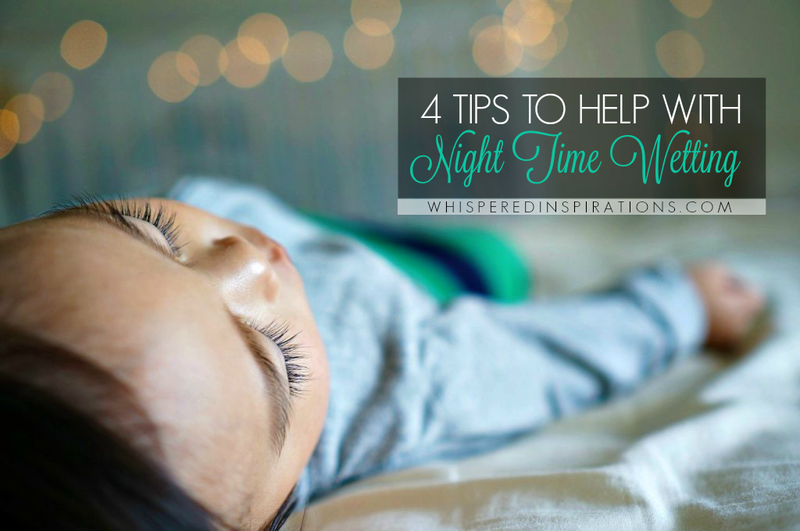 Here’s 4 tips to help you conquer night time wetting successfully! Nocturnal enuresis, also known as bed time wetting (night time incontinence) can be embarrassing for a child. It can often lead to shame. It is overwhelming for a parent as well. I know growing up, I wet the bed. I was 4 years-old and thankfully, it only lasted a year. One thing is for sure, we never talked about it. Plain and simple, I just remember feeling embarrassed and ashamed. My parents never shamed me for it but, just cleaned it up and that was that. There was no conversation and I had no idea if it would ever end. 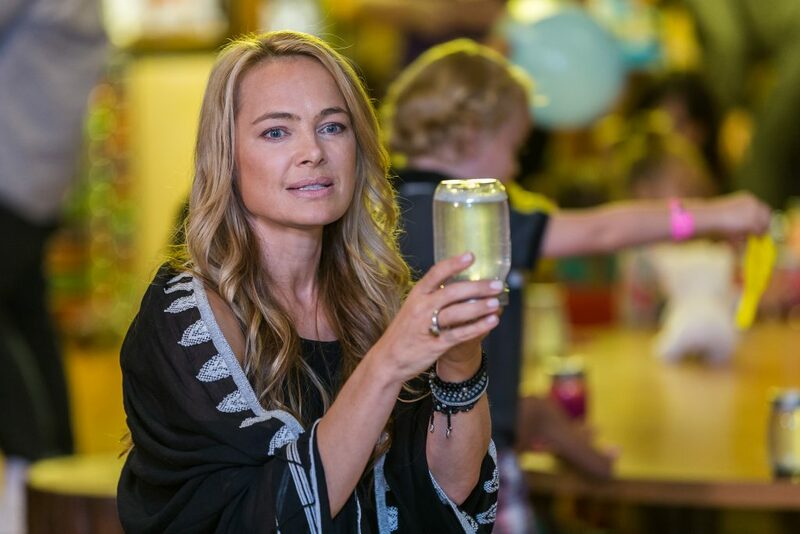 For some, night time wetting may be an inevitable part of growing up, but one thing is for certain–it doesn’t have to be stressful or even taboo. 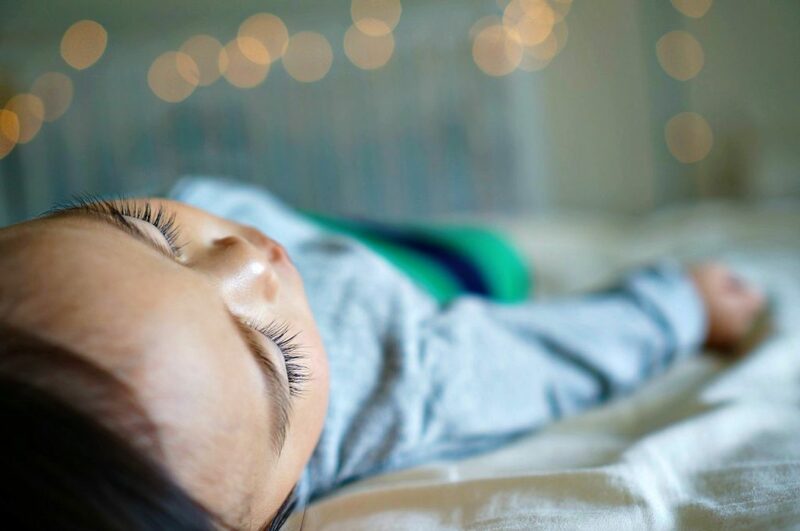 By educating yourself, using these tips and providing a whole lot of support will get you through it and help you minimize the stress that can often comes with night time wetting for you and your child. 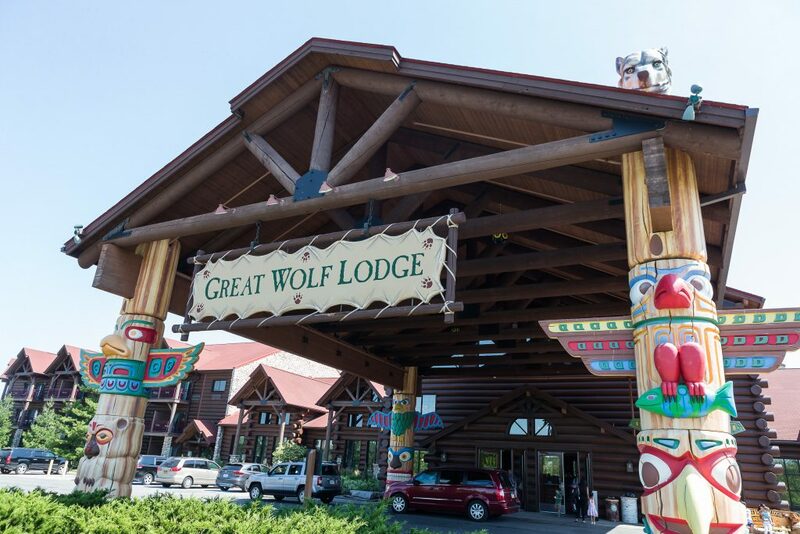 Last week, I had the opportunity to visit the Great Wolf Lodge in Niagara Falls and to meet with Michele Kambolis, a clinical therapist and mental health specialist to learn about nocturnal enuresis and tips and activities to use to ease any stress or anxiety that is directly correlated with it. She shared that she, too, was a night time wetter and guess what? Her kids were too. In case you didn’t know, if you or your partner were night time wetters, your child will have approximately an 80% that they will be too. That puts things in perspective for me, it’s much more common than we think. Up to 15% of five-year-olds and 8% of 8-year-olds experience night time wetting. There’s a 77% chance that a child will wet the bed if both parents did as a child too. Night time wetting is more common in boys than girls. While children generally achieve some level of night time dryness by about four years of age, accidents can happen even into puberty. 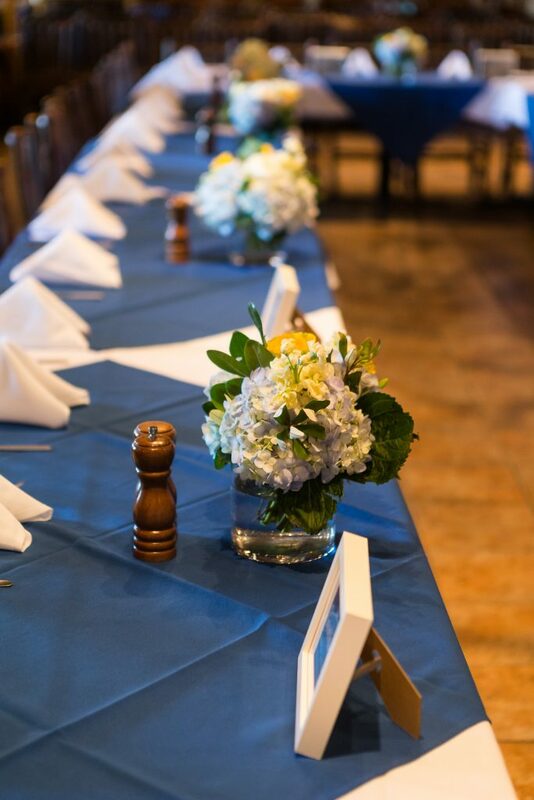 Ease the Stress–Create a Plan! A few of the biggest things that I learned during our Goodnites Getway was night time wetting shouldn’t be shameful. The more we talk about it, the more people get educated and it becomes less taboo. One of the most important things to do is remove the shame and let your children know that it isn’t their fault. Follow the tips below and hopefully they will help you rest easy. I’m a firm believer that you should establish an open relationship with your children. Let them come to you when they need support and always reinforce it with encouragement. Make sure that they know that bodies develop at different rates and it’s something that will pass. My mom always said to me, there’s never a problem that can last for more than 100 years. She’s right. Try to eliminate the ‘secrecy’ that goes hand-in-hand with night time wetting. One way to do this is to talk about night time wetting with them during the day when there is no pressure and when they feel less embarrassed. If there are siblings in the house, it is a great time to talk about it with them too. It’s also a good thing to encourgage them to ask a lot of questions. Instead of limiting their fluids before bedtime, try giving your child one or two extra glasses of water in the morning or afternoon. This allows evening drinks to quench thirst only. Also, try to have them use the washroom before bedtime and if you can, have them try before you go to sleep. By developing a routine and having routine bathroom visits, it may prevent them from unintentionally holding their urine. The best way to do this is to get them the right gear. 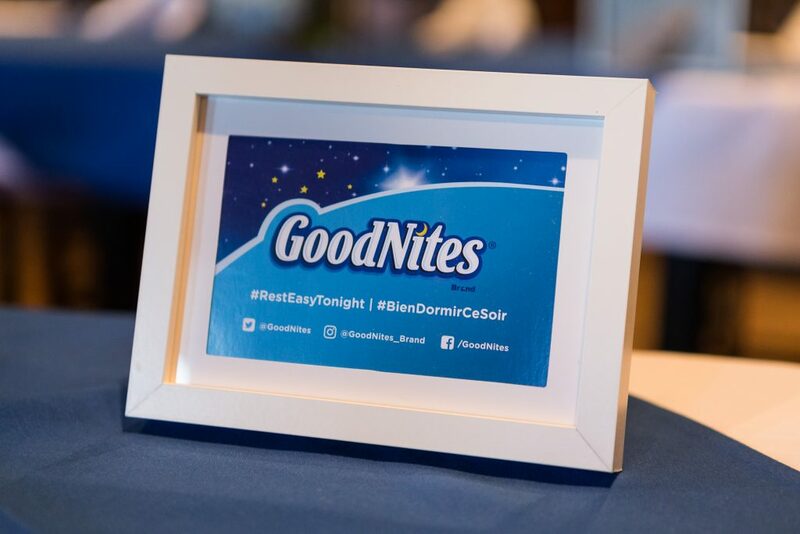 If your child is dry all day but sometimes has night time accidents, GoodNites® Bedtime Pants are a great choice. They are specially designed to be worn lying down. So, they’re perfect for when they are asleep. They’re soft and super absorbent to help keep them dry and comfy all night, even if they fold into pretzels while they sleep. Plus, the discreet design looks and feels like regular underwear with graphics that children won’t mind wearing. routine. This will help with sheet changes, plus–all you have to do is place, peel and protect for a better night, every night. Night time wetting often robs children of milestones or activities that every child should exprince like overnight camp or sleepoers. For that, you need the assurance they will be dry and the discretion so that yoru child is not embarrased. GoodNites® TRU-FIT* Underwear provides real-washable, underwear-like discretion. Working in tandem with absorbent inserts, its soft fabric underwear with disposable protection that keeps your daughters sheets and PJs dry all night. 4. Do Activities That Help Them to Relax. A good idea to help your kids unwind after a long day is take part in activities that help them relax. Going for a walk, trying yoga or reading can help them. There are also some activities below that can help them ease into their night time routine. You can use a technique involves tensing and then relaxing different muscles in the body. This can help your child learn the difference between being tense and feeling relaxed. Step 2 – Ask your child to take a deep breath in through the nose, hold their breath for a few seconds and breathe out, imagining their tummy is a big balloon filling up with air. Have your child slowly breathe out and imagine that the air in the balloon is slowly escaping. Ask them to pay attention to their body and how it feels. Step 4 – Now have your child relax their whole body, imagining that they are a rag doll trying to relax all the muscles in the body until they feel relaxed and calm. Step 5 – Encourage them to open their eyes when they are ready. 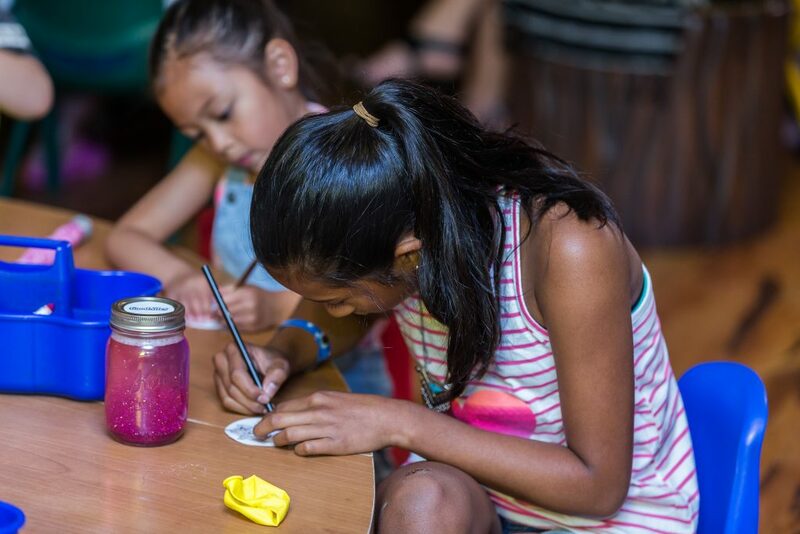 During our getaway, the girls and I learned about activities that can help put our minds at ease and to help any anxiety we might be carrying from the long day. The girls especially loved the Mindfulness Jar and I happen to love the concept to. 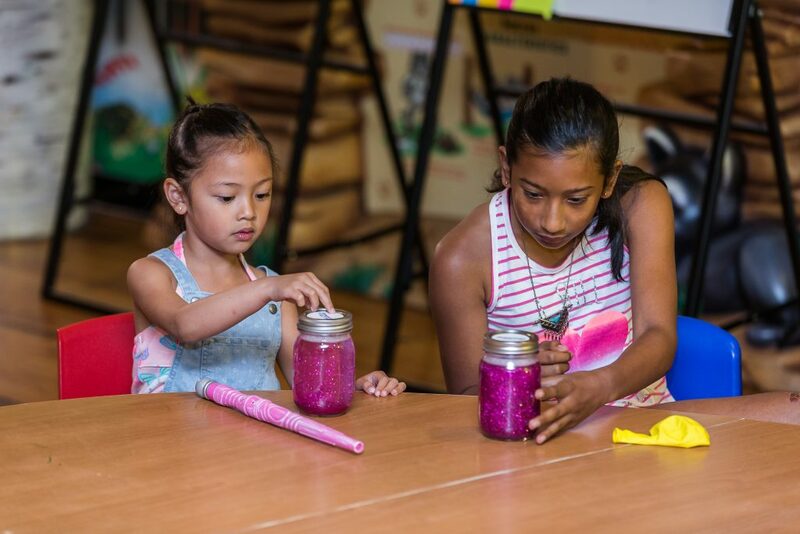 The glitter jar represents the mind settling. It’s a great afternoon activity that your kids can keep coming back to as a mindfulness practice. It can also help kids connect with their body and emotions by teaching them how to tune into their internal signals. Have them sit in a quiet place and shake their jar, the glitter will swirl around like busy thoughts in their minds. Tell them to take deep breaths and to picture the glitter as thoughts – without worrying what the thoughts are or what they mean. When the glitter settles, so should the cloud in their minds. Brain “muscles” are just like any other muscle in our child’s body. The more they flex, the stronger they’ll become. Introduce a thought buster to your child and watch them grow stronger, more positive thought patterns! The more we talk about night time wetting and the more support we provide if our child is going though it, the better it will be. 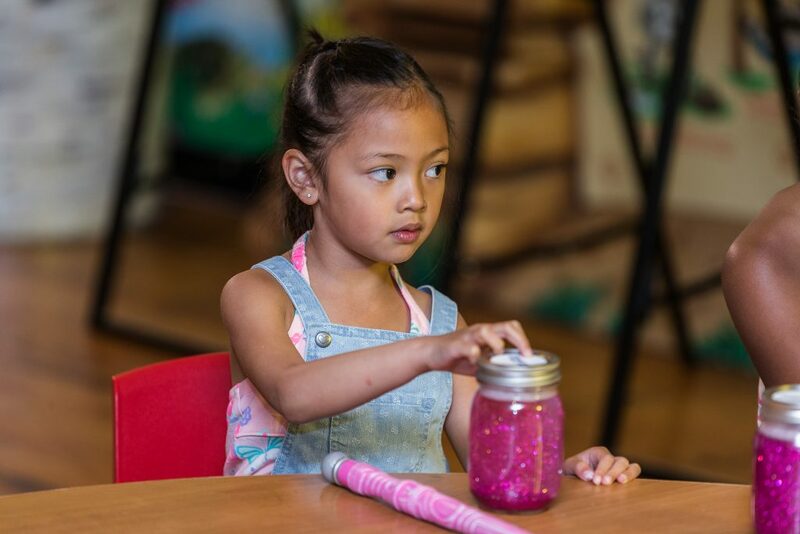 There are many options out there to help your child be comfortable and discrete and many tips and activities that can help you surpass this stage in their lives. 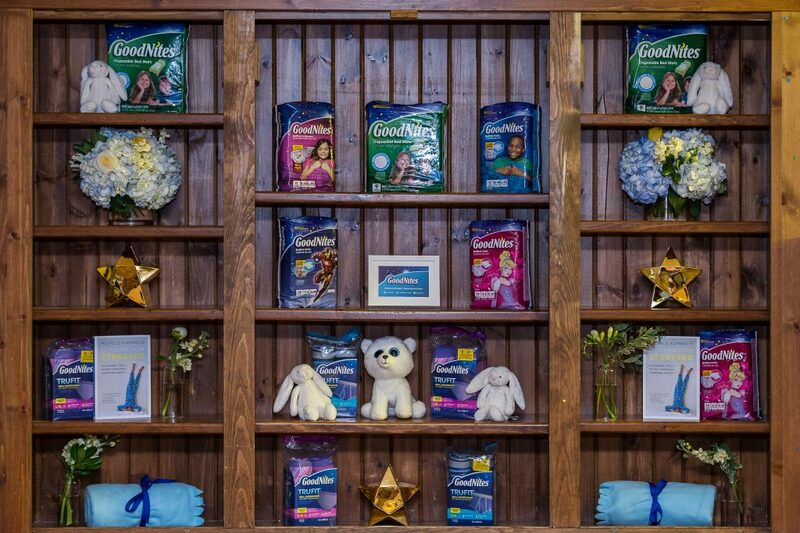 Visit Goodnites, they have a treasure trove of resources to help you understand bed wetting and why it happens. We had a great time at Great Wolf Lodge and though my daughters do not have to deal with night time wetting, they now know how to react if one of their friends do. With empathy! 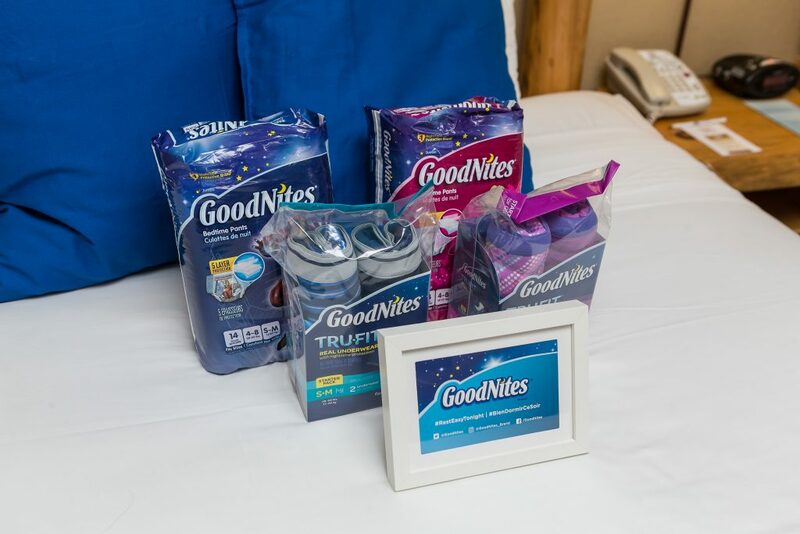 Connect with Goodnites on Facebook, Instagram and Twitter for the latest updates! How much do you know about night time wetting? Some really great tips. It looks like it was a very informative event. Like the idea of the Mindfulness Jar too. I think relax activities before bed are a good idea even if they aren’t having night wets. This is some great ideas! I was a night time wetter and so were my 2 children. I remember my mom walking me to the bathroom before she went to bed. I wish we had GoodNites when I was a child. I love the different activities for relaxing. I can imagine it is difficult to deal with. I like your approach to night time wetting problems. It is important to keep in mind that for some children night time wetting is a medical problem that the children cannot control. I like your compassionate approach. Thanks for these tips! My son is 7 and still wets the bed at night. We are trying to stop it but it is harder than I thought it would be. I also think it is something that needs to be talked about more often! My kids ever really struggled with this, but I know it is a big issue for some parents. These are ideas to help them, good luck to all the parents who need these tips out there! It was very informative and fun! I was one of those kids that bedwet and it was embarrassing and I remember sneaking into my parents room to get my mom to change my sheets. I love the fact that there are GoodNites and this retreat looks like it was great. It was, we learned a lot and it is always a good thing to talk about! This is great! Hope they find it as fun as our girls did. Oh they had so much fun with it ! Enjoy your Sunday !